Palm Beach Gardens, Florida Real Estate - Home Mortgage Lending Corp.
Home Mortgage Lending Corp is driven by integrity & honesty, the kind that you can only get from a local business committed to delivering personalized service and devoted to its clients’ financial well-being. We understand that you have a choice when it comes to who you will trust and we dedicate ourselves to earning your trust. 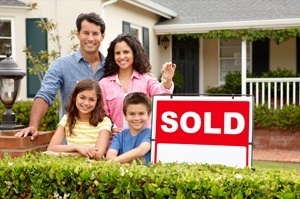 HMLC has been originating purchase mortgages and refinances in Florida for over 25 years. We understand that home ownership is one of the most important financial commitments that our clients will make, and that everyone is uniquely different. We know the local housing market conditions, and offer mortgage options that are best suited to your specific needs, not the banks! Bound by our values, we pledge time and personal attention to each and every client, and are steadfast in treating all our clients fairly and respecting their needs. We aim to provide each valued borrower a mortgage loan that delivers the best possible rate, lowest costs and the peace of mind that comes with home ownership. With that philosophy in mind, we, at Home Mortgage Lending Corp are truly committed to the concept of "building relationships for life" with you, our clients and helping you achieve your goals, one home at a time. We sincerely appreciate your giving us the opportunity to serve you.